Istro, or Istron, is a small town in the western part of Crete. 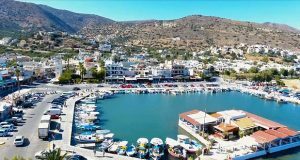 The town is located 12 kilometres south of Agios Nikolaos, and the small town Pacheia Ammos is located 7 kilometres to the east. 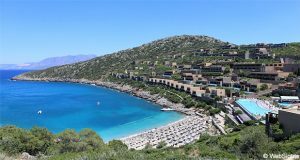 Istro is located inside a beautiful bay with three beaches. 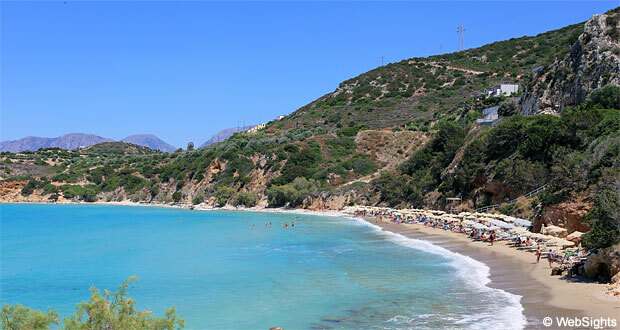 The bay is famous for its lovely turquoise water and has adorned many postcards from Crete throughout the years. 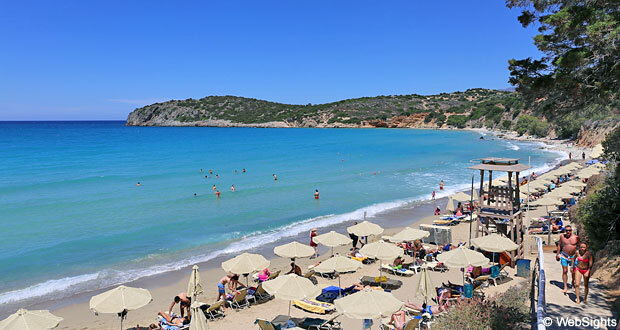 The main beach in Istro is Voulisma, which is located on the eastern outskirts of the town. A beautiful sand beach, which has also earned the nickname “golden beach” due to its fine-grained, golden sand. The water is shallow, usually calm and has beautiful turquoise shades. At the beach, it is possible to rent sun lounges and sunshades and it also has access to showers and a toilet. During the high season, the beach is supervised by a lifeguard. Parking is free in the parking space next to the beach. There is not much room to play at the beach, but the water is shallow and usually calm, so it is generally a child-friendly beach. During the high season, there are water sports activities at the main beach, but not necessarily every day. Good swimmers should not miss the opportunity to go for a swim in this beautiful bay. By the stairs to the beach, you will find a nice beach café with a unique view of the bay. It is also possible to buy refreshments to bring to the beach. Istro is a very relaxed holiday resort and there is a lot to suggest that it will continue to be just that. Several archaeological finds in the area has resulted in some relatively rigid restrictions on the further development of the land. The town has a fine selection of restaurants, cafés and bars. 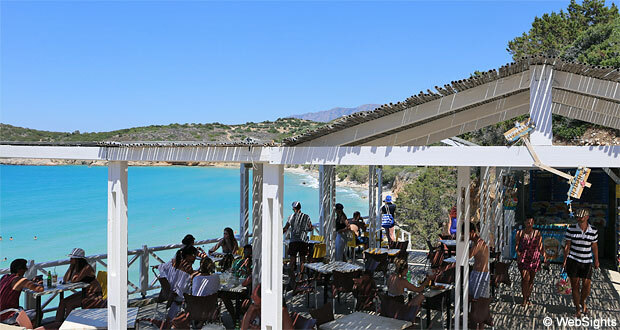 The two best restaurants are Taverna Kavos and Meraki, both serving delicious Mediterranean dishes. The town also has a few tourist shops, a bakery and some minimarkets. There are about 15-20 hotels in the town, but most of them are apartment hotels. The two largest hotels are very close to the beach with a view of the bay. One of them is the 4-star hotel Mistral Mare. 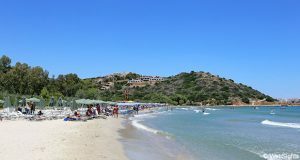 The main beach can be seen at the end of the bay, and Istro is to the left. 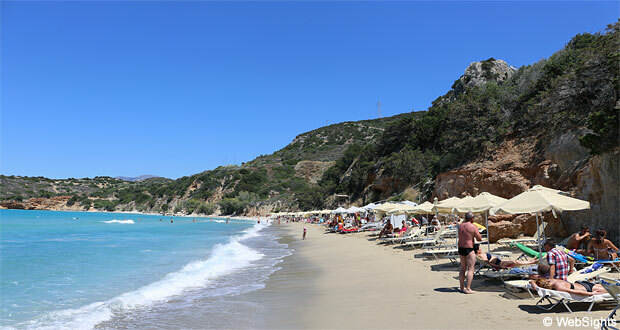 The two other beaches are located on each side of Voulisma.